The man behind Jack and Jill’s first positive review. All was right in the movie world. A sequel was at the top of the box office (or a character used from a sequel – Puss In Boots). Independent, critically acclaimed movies were not doing well in the box office. And most importantly, Jack and Jill, Happy Madison’s latest gem, was at 0% on Rotten Tomatoes. That all changed with Michael A. Smith. On a day were rotten ratings were coming in by the bucketful, Michael A. Smith decided to give Jack and Jill 3 out of 5 stars. And the whole world stopped. Well maybe it wasn’t that drastic. But for me, it was. When that positive review came in, I immediately needed to know everything about Michael A. Smith. None of those phrases seem like they would be part of a positive review. Truthfully, they probably aren’t. But for some reason, Michael A. Smith bases his positive review entirely on the fact that Al Pacino had a great performance in the movie. After reading a few of the reviews, it did seem Al Pacino had a good, comedic performance, but none of them believed that small performance made for a good movie. My next course of action was to check out his prior reviews. Maybe this is just a critic who enjoys everything. 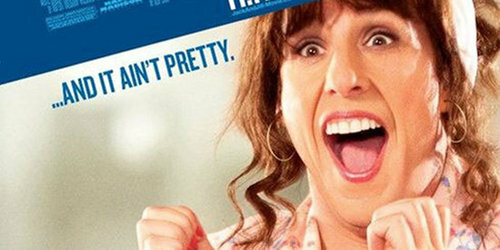 It doesn’t make his positive review of Jack and Jill right, but it will at least make me feel a little better about it. His perfect, 5/5 star reviews were for movies like Moneyball, Crazy Stupid Love, and Super 8. Alright, I can get behind that. They were all pretty sweet movies. But then, I saw he also gave 5/5 reviews for The Hangover 2 and Hall Pass. Yes, both of those movies were good for some laughs, but to say either was on the same level as Moneyball is crazy. At this point, I’m thinking this guy appreciates good movies, but has a soft spot for comedies. That’s when I saw it. Michael A. Smith’s review of Drive: 2.5 out of 5. He gave Jack and Jill a better review than Drive. Yes, I have an affinity for Ryan Gosling, and that may make me slightly biased, but Drive is easily my pick for best movie of the year at this point. It was epic. At the end of the day, all of this is just opinion. An opinion on his part that the movie was good. An opinion on mine part that he’s an idiot. Yes, I should probably see the movie before I rip apart the first guy to give it a positive review. But for the first time since Whitney premiered this fall there is finally something else that people as a mass can get behind and hate together, and that’s something you have to love. Don’t believe me, check out the comments to his fresh rating on Rotten Tomatoes. Thanks for the typo check. But I did note that it has gotten one other positive review. This was just a post about the guy who gave the first positive review. You need to keep your writers and commentors in check about fact checking and sexism. If you can give examples of fact checking needed in articles I’d be more than happy to check it out. I am trying to make this legit as possible but I’m a student running this on top of having two other jobs. I’m looking for a copyeditor if you’re interested. Also, people who comment are welcome to say what they’d like, whether it’s positive or negative. I appreciate you reading the blog and giving feedback, but it seems like a lot of articles are upsetting you. I don’t want you to feel like you are being forced to read this. As far as “fact-checking” is concerned… probably a bad cohice of words. There is basically very little evidence to back up certain arguements in a number of the articles. For example, the actors who need to retire. This is not my greatest concern. My greatest concern on this blog is the constant sexism. I realize I comment a lot and yes, I realize I’m not forced to read this blog. But I hope by pointing out certain things that you more thoroughly evaluate what you all are writing. Even in this very post, your friend Ryan told me I was on my period. I realize that’s not in an article however several articles contain quite sexist remarks. Calling Pam and Angela from “The Office” bitchy because they are pregnant and hormonal? That’s blatant sexism. When i saw that, and other remarks, I decided to comment. Trust me, it’s not my favorite thing in the world reading all this and getting upset by it however I feel like someone had to say something. Perhaps my anger at this sexism translated itself into small, petty things like informing you there was more than one positive Jack and Jill review which was pretty irrelevant of me. I suppose that is all I have to say. And no, I am not on my period, nor am I pregnant, nor inflicted with any other ~~~womanly disease~~~ that might make me act out in this manner. Hey Laura, on the rag? The sexism in this blog is overwhelming. I’m sorry I’m consistently unimpressed with “Broken Spork”‘s consistent lack of fact checking and sexism. As evidenced by this very comment. On the rag? Just because i have an issue with something and I’m a woman, I MUST be on my period, right?